Have you ever heard about so-called “permission paradox”? Probably, you are not familiar with this term. But it’s highly likely that you have already faced this phenomenon in real life. The essence of this paradox is that you can’t get a job, because you lack experience, yet you can’t gain any experience because you have no job. When you are starting a new career, it’s rather challenging to overcome this paradox. If you don’t want to be mistaken in choosing your career path, you should follow your one true calling. It’s crucially important because the way to success is always challenging. And only if you are persistent and dedicated to your dream, you will be able to overcome all barriers. In other words, if you want to grow as a professional, you should genuinely love what you do. You should be passionate about your work. If you have been working as an English teacher for seven years, and now want to work in sales, be ready to answer lots of questions. Recruiters, interviewers, and even your close friends will ask you why you have decided to start a new career. So it will be better to prepare the replies on common questions in advance. Today, if you want to start a new career, it’s not that necessary to spend five years of your life in college. In the digital age, you can study from home and learn new subjects at your own pace. The great news is that you can gain knowledge without spending a fortune. For instance, you may find affordable courses at Udemy or free courses at MIT OpenCourseWare, isn’t that great? Even if you have no working experience, you can’t leave your resume empty. You should provide proofs that you are a perfect fit for the job. You should mention other relevant experience, volunteering jobs, and soft skills – literally everything that will make your resume to stand out. If you don’t know how to craft an ideal resume, don’t worry. You can get help from professional writers from EssaysDeluxe.com, a writing service, or from Upwork, freelance platform. Let’s face it. It’s almost impossible to get a highly-paid job in a new field if you have no experience. If you want to start a new career, you should be ready to work for little or no money at least for a few months. Before getting a real job, you should get an internship job. It’s the easiest way to gain your first practical experience. The great news is that if you present yourself as a capable intern, it’s highly likely that the company will offer you a full-time job. Another great option for you is to become a volunteer at the organization, which operates in your niche. Let’s say you want to work as a sustainability manager at the multinational corporation. The first thing you should do is to get a volunteering job at a non-profit organization, which promotes waste management and recycling. This work will help you to learn more about the industry and master new skills. And if you add information about your volunteering experience to your CV, you will double your chances to get an invitation to interview. Well, if you don’t have hard skills, you still have soft ones. And that’s important to mention them in your CV. Are you a good public speaker? Do you know how to motivate people? Are you a leader by nature? Feel free to list all your relevant soft skills to make a good impression on a potential employer. If you are a networking guru, it will be easy for you to build a powerful referral network. You can be sure that your communication skills will help you to find employment opportunity and start a new career. Be friendly and polite with everyone you meet on your path. And don’t miss a chance to make a good impression on people who might help you to get your first job. The higher goals you set, the more you get. You should clearly understand what you want to achieve in five or ten years. You should have an ambitious, yet realistic plan to success. If you want to become a professional model, you should dream about collaboration with world-famous beauty and fashion brands. You don’t want to be an average model, who advertises frying pans and hemorrhoid creams, do you? Who is a true professional? It’s not just a person, who has three diplomas or 30-years experience. It’s a person who immerses himself in work, and who watches the industry’s trends closely. So if you want to succeed in your career, you should read magazines, industry reports, books, watch the news – do everything to keep your knowledge up to date. You should clearly understand where the industry is currently heading. If you want to start a new career, just do it. Don’t listen to envy people, who are trying to stop you. Make a plan, set the goals, and one day you will become a great professional in your field. 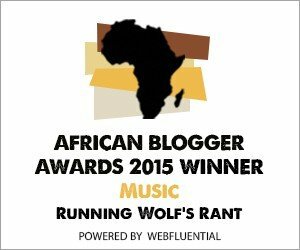 Watch this space for regular updates in the Hacks category on Running Wolf’s Rant. I’ve made a transition from a shy office clerk to an empowered and delighted writer. I’m a writer at content creation service and a writing fanatic. I frantically stay on guard of beauty and meaning inside the written text. I recently became a contributor at an educational blog.